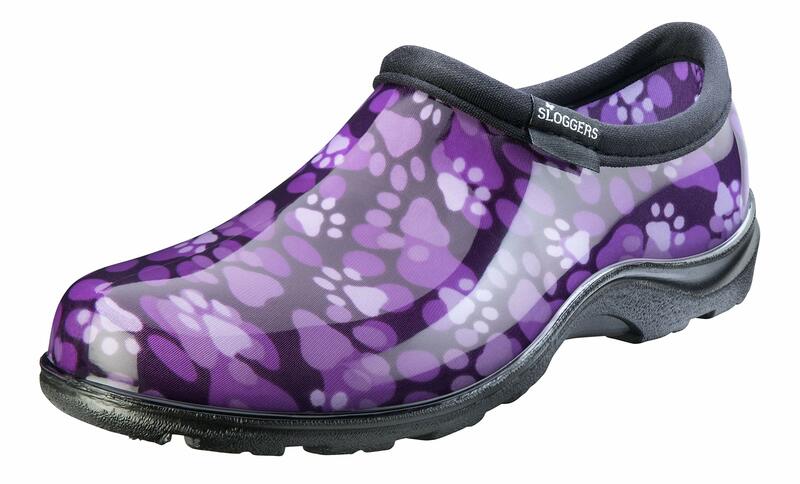 These garden boots with floral print are here to keep you dry while splashing through the rain and the muck! These boots feature a high quality premium insole for maximum comfort, cotton liner and are 100 percent waterproof. The wide opening makes it easy to tuck your pant cuff into the boot. Made of a resilient resin that is flexible and not too stiff, they are tough and long wearing. Easy to take care of, just hose ’em off.